The only hanging tool you need! 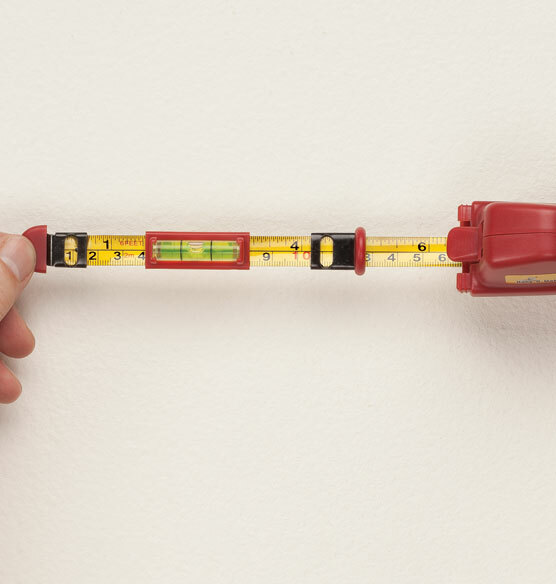 The Hang-O-Matic hanging tool is a combination tape measure, bubble level and wall marker designed to eliminate the frustration of hanging wall art. All you need are this clever picture hanging tool and a couple of nails to beautifully hang your artwork and frames. Use the Hang-O-Matic picture hanger to align, level and mark your wall. Built-in sliding anchors measure the distance between two holes or hangers on the back of any item, and the tool dimples your wall to indicate exactly where the nails should be placed. 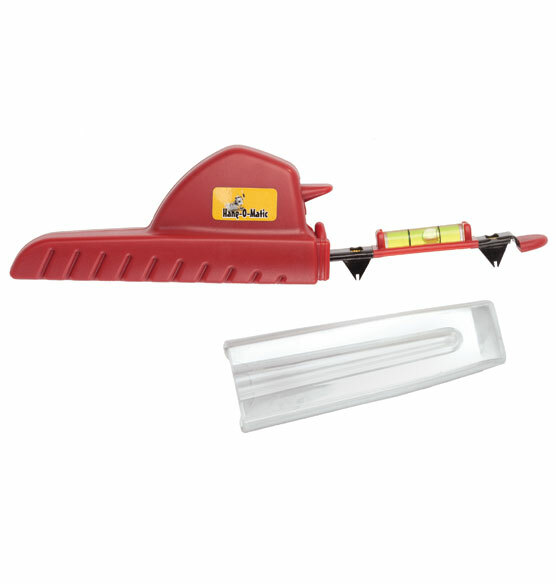 The built-in sliding bubble level ensures level hanging. So simple and easy to use, but such a time (and frustration) saver! I'm a photographer and often hang pictures up. I can't begin to explain how easy it was to hang 15 pictures with Hang-O-Matic. I even hung a shelf into the mix to make my wall have diverse things. It is light weight and it was easy to use for side by side pictures too. Having a tape measure was very helpful into measuring the distance between each picture and still be able to mark the wall straight. This reviews very well for hanging framed artwork. So we will try it. a good stocking stuffer!! can never start Christmas shopping too early!! Easiest way that I found to hang pictures accurately. My husband and sons-in-law are project guys, and I think it would be useful for them to have. I hang a LOT of things on my walls and this looks like a fantastic tool to help with getting things up level, straight and well marked the FIRST time Also, I just saw the inventor on TV pitching this product and it's made here in the USA ! Bought these for family members who have a difficult times hanging pictures level. Will save the walls from repeated holes trying to get the picture level. Saw it on DIY Network. Moving soon and will hang many pictures, etc. LOOKS LIKE IT WILL MAKE HANGING PICTURES FASTER AND EASIER. Looks like a great helpful idea. I hang a lot of pictures and this looks like it should make the process easier. Be easier to hang pictures.